See the Borrowing Regulations for complete information on loan periods, recalls, fines, and limits. 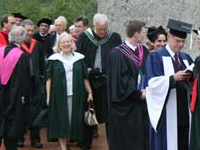 Faculty members have extended loans. Items can be recalled if someone else places a "hold" on them. There are significant overdue fines for recalled items not returned in time. Online renewal is available if you have no overdue items or outstanding fines. See How to Renew Online. See the Borrowing Regulations for information on number of renewals and fines. Check your due dates, renew online, request something from another branch, and put a "hold" on something that's currently signed out. See Using your Library Account in TOPCAT.